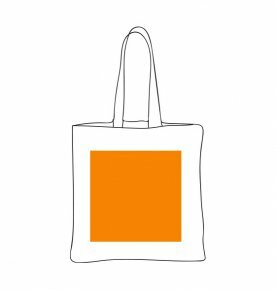 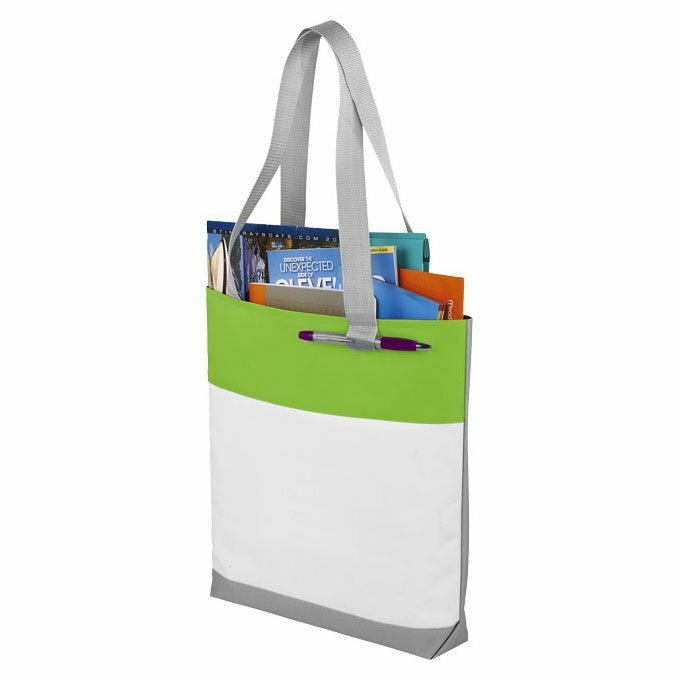 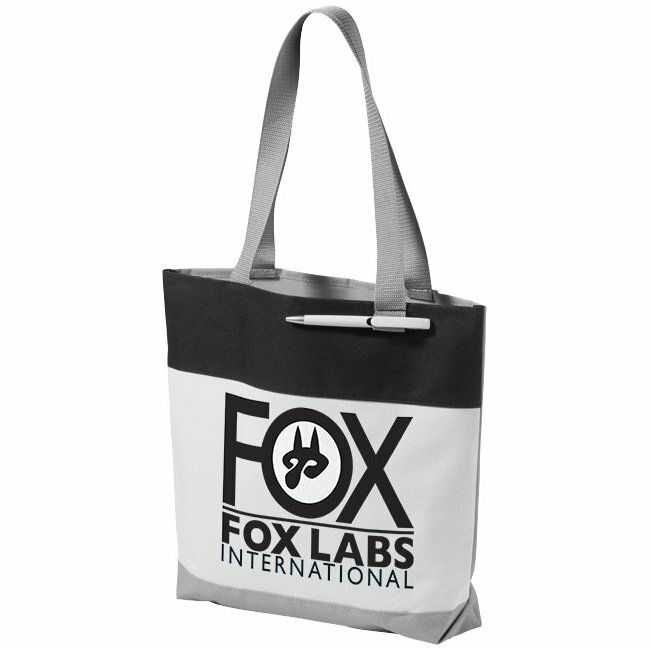 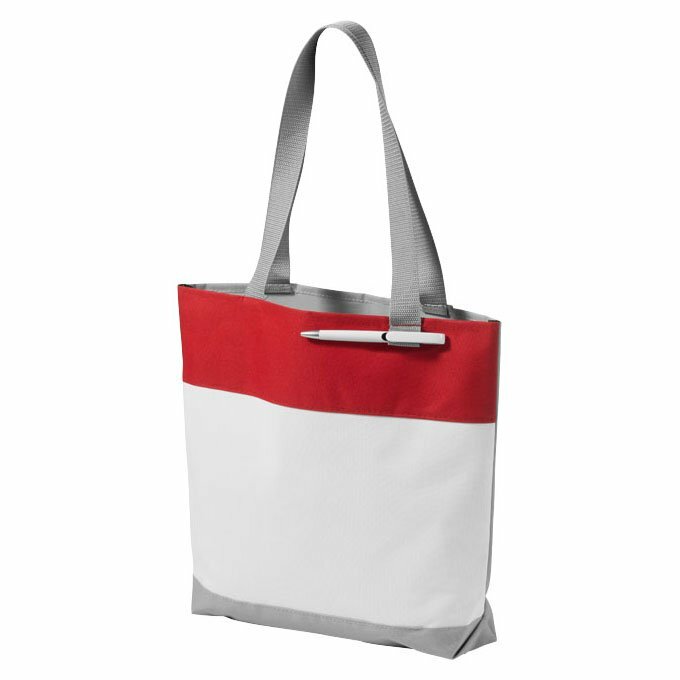 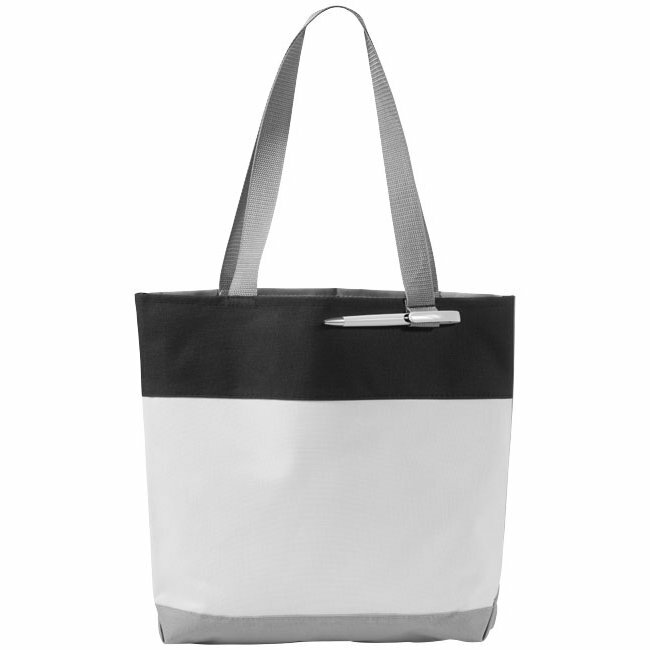 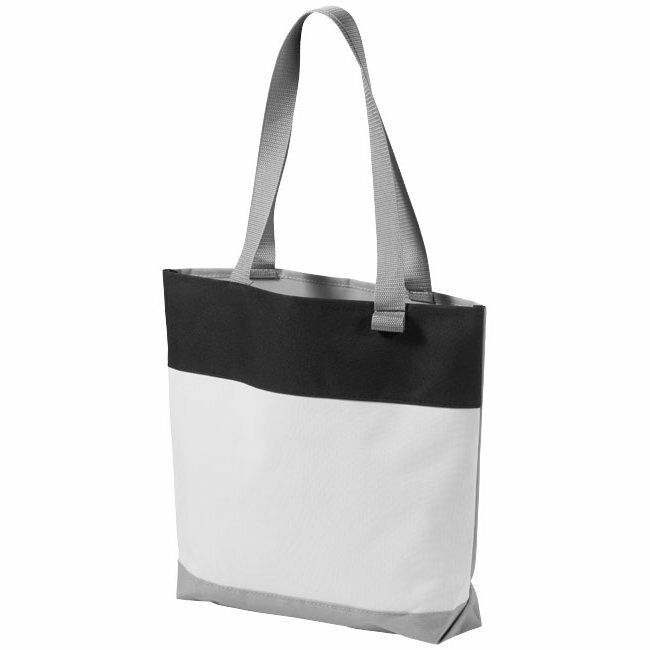 Fresh budget tote style for tradeshows, conventions, and business meetings features refreshing hues and the popular color dip trend. Open main compartment and pen loop on the front. 30 cm handle drop height. Material: 600D polyester.